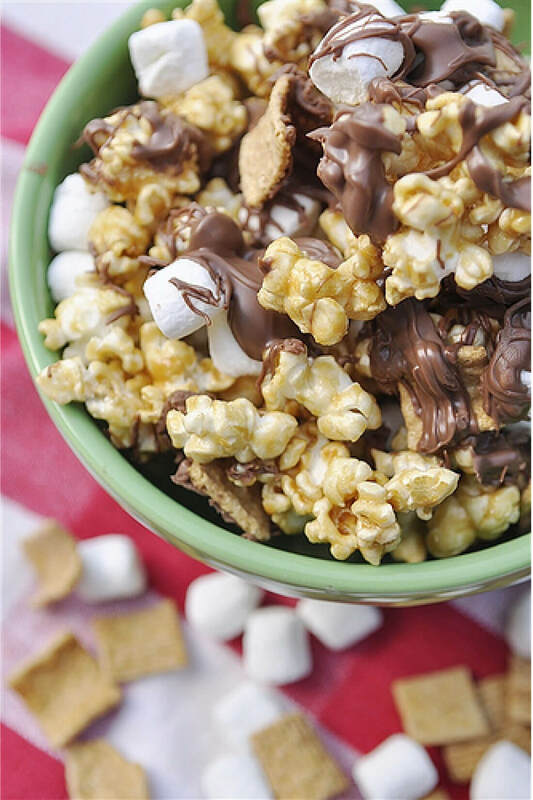 Why not take a traditional caramel popcorn recipe and add some s’mores to it!? You’ll love the take on this traditional caramel corn. I have seen s’more recipes popping up all over the blogosphere. Every imaginable s’more flavored treat you can imagine. S’mores and summer do just seem to go together. One of our favorite summer time activities is making s’mores over the firepit in our backyard but now you don’t need to wait for a fire to enjoy the yumminess of a s’more! 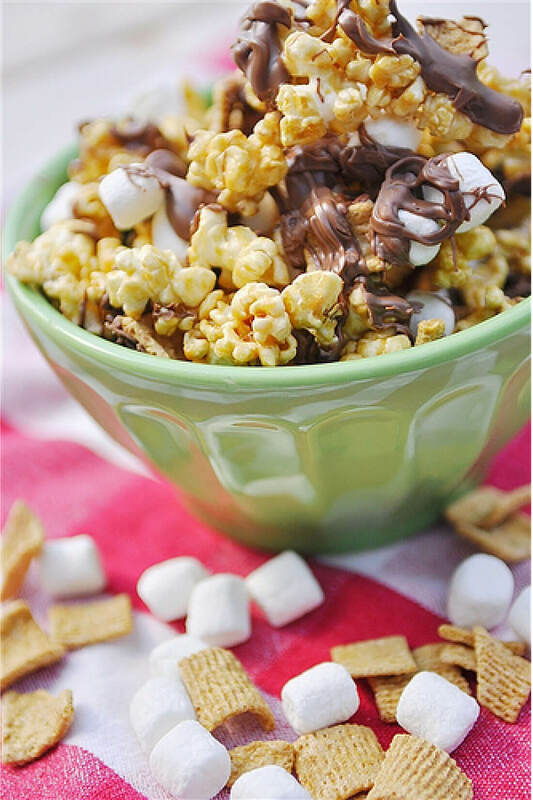 I decided to turn one of my favorite treats – caramel corn into a s’more too. Let’s just say the combo works! Very well! What’s not to love about caramel, chocolate, marshmallow and graham cracker combined together?? I started out with my trustworthy, easy to make, never fail me caramel corn recipe. So easy because it is made in a brown paper bag in the microwave. I spread the caramel corn out onto parchment paper on two large cookie sheets. 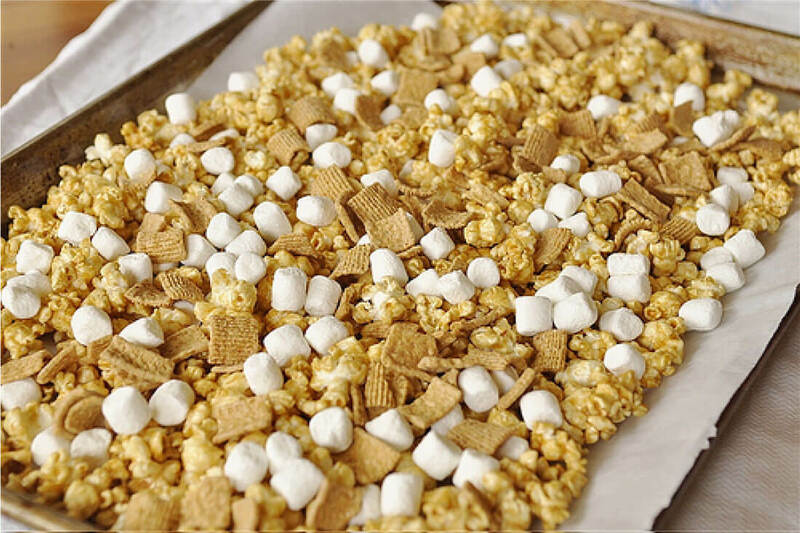 Then topped it with some mini marshmallows and Golden Graham cereal. Then the best part -you drizzle it with chocolate, lots of chocolate. The chocolate is the glue that holds it all together so don’t skimp on this part!! Then let the chocolate set up. I was going to put mine in the fridge in the garage but my husband had a stinky fresh crab in there and I was afraid the popcorn would end up tasting like crab – yuck!! After it is set up you can commence munching, you can do it before it sets up too, it is just a little messier. 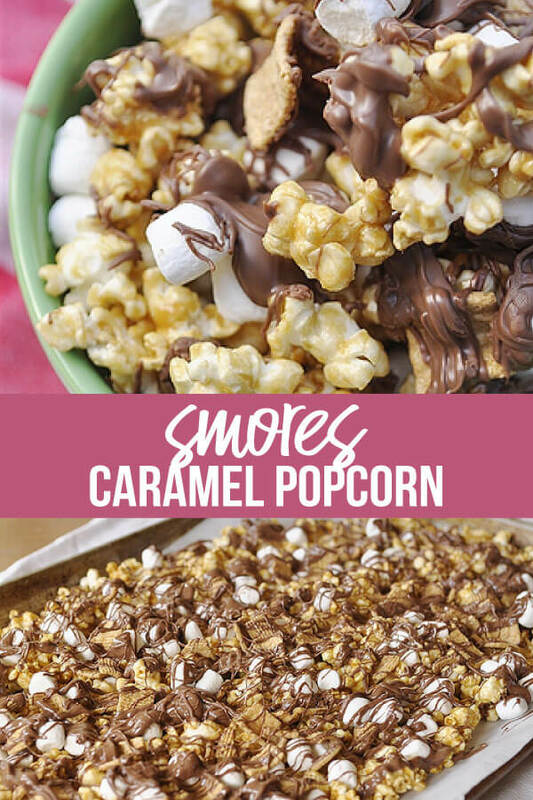 If you love this easy caramel popcorn recipe, you’re going to love these other s’mores recipes too. Please click each link below to find the easy, printable recipe! I decided to share so I packaged it up in some clear bags and added a fun little tag! Who wouldn’t enjoy S’more Fun!!?? 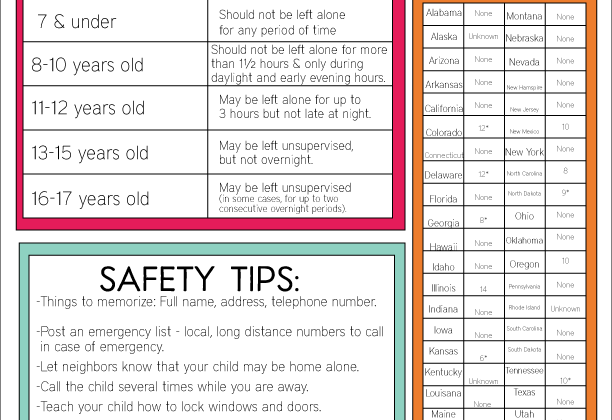 You can download the tag too and just print them off. 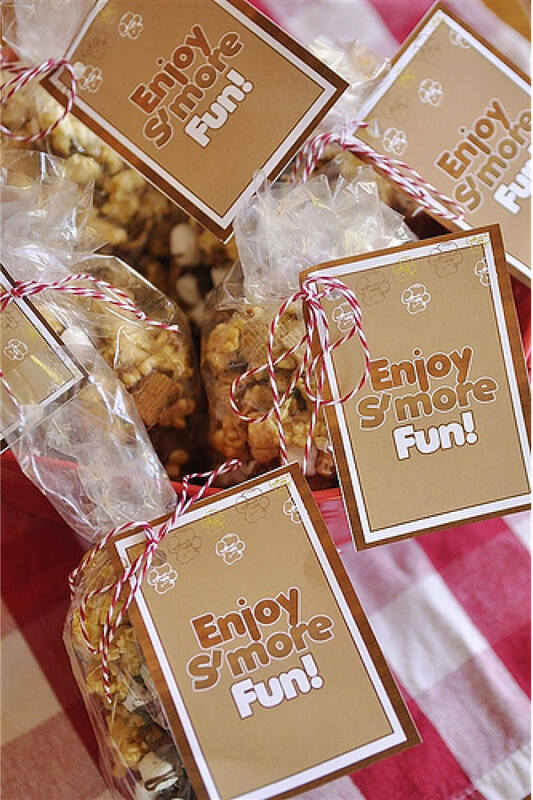 Download your own S’more tags. For personal use only. I love taking little bags of fun treats to friends when they least expect it! Follow these simple instructions and enjoy! 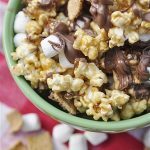 If you’re a fan of caramel corn and s’mores, you'll love this delicious (and easy) S’more Caramel Popcorn recipe! Spread caramel corn onto two parchment lined cookie sheets to cool. Sprinkle with marshmallows and cereal. Melt chocolate chips and then drizzle chocolate over mixture. Allow chocolate to set up. What a fabulous way to get a s’mores fix without the fire pit! In my neck of the woods, anything yummy that doesn’t require heat is always welcome. Thanks so much! I wonder how it would work to sprinkle the marshmallows on top and put them under the broiler just till toasted, then drizzle with chocolate…??? Oh my! 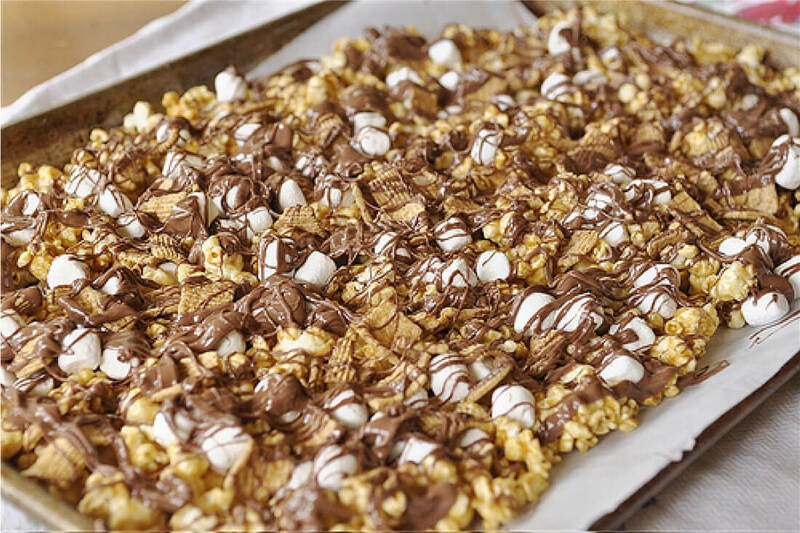 I made this S’mores caramel corn for the Super Bowl this year and it was AMAZING!!! 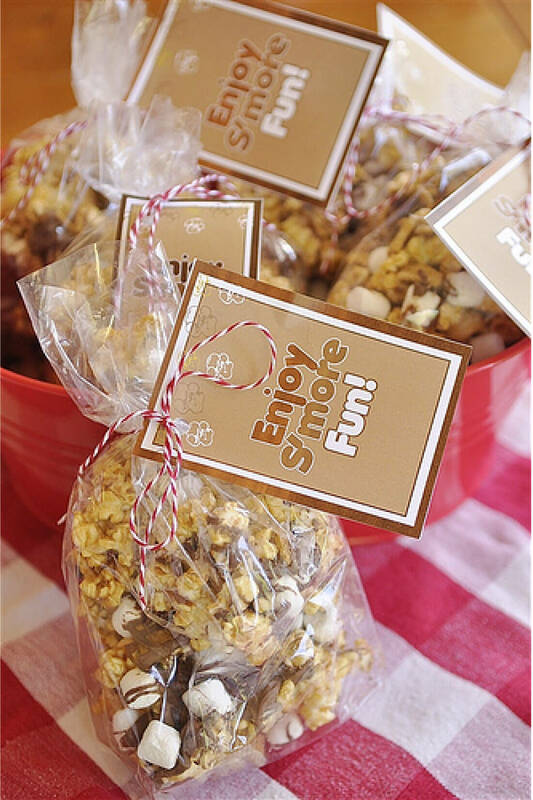 I never knew making homemade caramel corn could be so fun and easy! And the Golden Grahams, marshmallows, and chocolate are an easy addition but make it SO GOOD! The recipe calls for one package of chocolate chips. I buy 72 oz. bags of chocolate chips at Costco. Do you mean the 12 oz. ones? Or the 1 lb. ones? This is … omg… I am speechless! This looks so wonderful, may I have a piece of that, please? Pleeeaaase??? what kind of chocolate works best for theis recipe? i would love to adapt this recipe and make it gluten free for my blog. i would also post link backs to the original recipe for credit. if this is ok just let me know. I can’t wait to have some of this I just finished two pans but I changed mine up a bit …i used kettle corn popping corn …put on cookie sheet put golden grahams on them made you carmel for caramel corn and drizzeled it all over both of them….added marshmellows while caramel was stills soft them drizzeled choc everywhere…..I also while choc was melted sprinkled tiny red candy heart decoration on for my neighbors for valentines day! This recipe looks great! I live in a small town and have sold several bags of caramel corn as a fundraiser to raise money in support of my daughter, and two other girls, who are our community queens. I think this would also work! I advertised on Facebook, and took orders. People were calling my daughter and I to reorder. 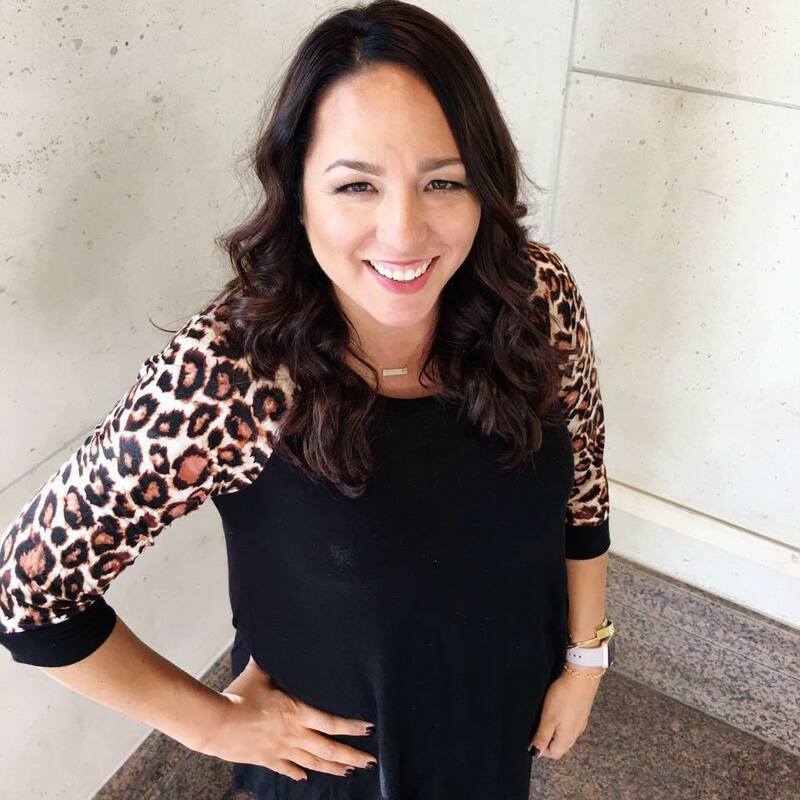 A great fundraising project that allows moms to work at home, and at their own pace! I was able to raise about $1500. I’ll have to include this recipe, and see how it sells! I’m surprised you haven’t gotten more comments on this… it looks delicious! I will be making it for sure this season! Thanks for the recipe!!! Thanks Leigh Anne for posting what looks like a “winner” recipe. I plan to make this today with my teenage daughter and package some as you’ve suggested. This will be the perfect treat to accompany $ we’ll give to another teenager who watered our garden while we were on vacation. Your s’more bar is just amazing and your food photography is too. You are inspiring! you have found my weakness. i am not sure if i am happy about this post or mad. canNOT wait to try it!!! This looks amazing! I’ve been compiling a bunch of unique s’more ideas on my blog — this will end up on my list! I just love Leigh Anne! Glad to see she’ll be contributing here from time to time. Here recipes are always yummy! These look delicious! I think I am going to have to take these to the ladies I visit this month! *GASP* How delicious!! 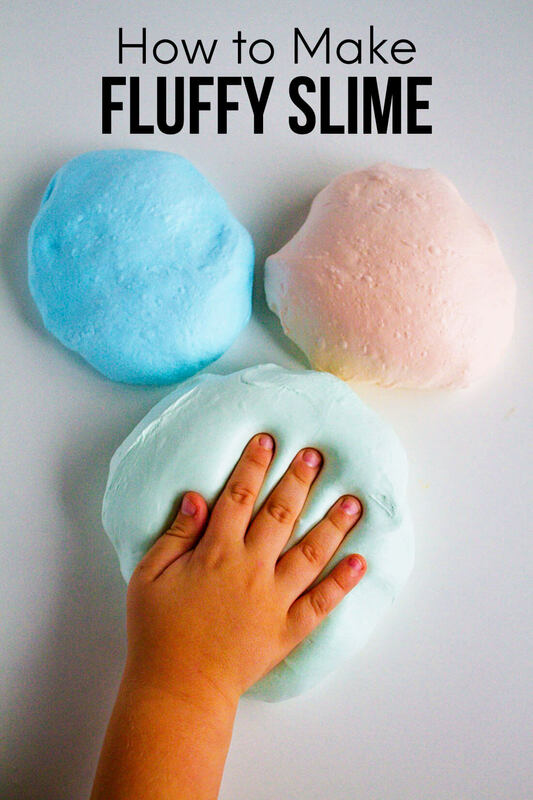 Thanks for sharing this yummy recipe and the cute printable too! !